As we know that condition and date mint mark are the core factors of a coin's value. So that the particular coin is more valuable than a common date one in the same condition. 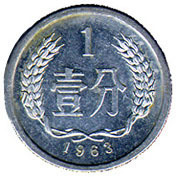 Collecting is my hobby not my investment, but I think the collectors of Renminbi still interest to know the Key Dates of these aluminum coins. I post here with the Key Dates of them, though I really don't know their monetary value. I hope this would be a little bit help for those who take this hobby as an investment. 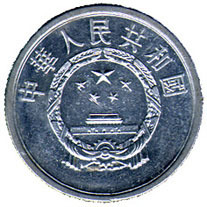 All these 3 coins were issued by The People's Bank of China. They are all common aluminum coins. 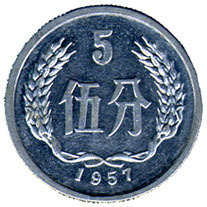 Key Dates and Marks of 5 Fen : 1955 D, 1979 A, 1980 B, 1981 B . 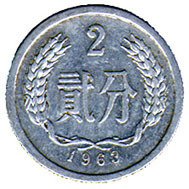 Key Dates and Marks of 2 Fen : 1980 B.